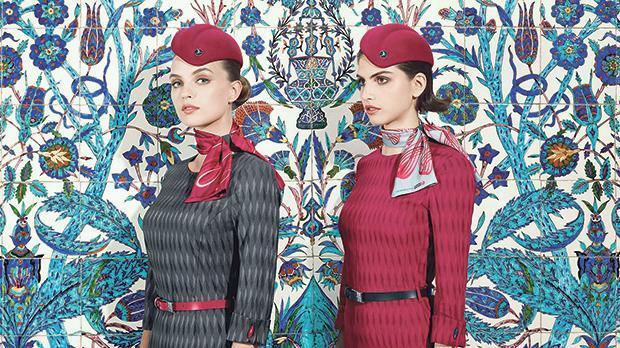 The “Best New Uniform 2018” award has gone to Turkish Airlines’ new cabin uniforms. In the new era starting with Istanbul Airport, the cabin uniforms have brought both style and elegance of the cabin crews to a new level. Chosen as the “Best New Uniform” in TheDesignAir Awards 2018, new cabin uniforms is one of the most visible/prominent elements of Turkish Airlines’ visual identity, laid out for the first time and carried out by its Corporate Communications Directorate. Showcasing the “Flow” theme in its details which stands for the total and seamless service mentality of the brand, the new cabin uniforms bear the signature of famous Italian couturier Ettore Blotta. “In the new era which has begun with Istanbul Airport, we will bring our brand experience we offer to our passengers to a new level; and our cabin crews will continue to impress our passengers with their peerless style and elegance as well as our service quality,” said the airline. Established in 1933 with a fleet of five aircraft, Star Alliance member Turkish Airlines has a fleet of 330 (passenger and cargo) aircraft flying to 306 worldwide destinations as 257 international and 49 domestic, in 124 countries. More information about Turkish Airlines can be found on www.turkishairlines.com or its social media accounts on Facebook, Twitter, YouTube, LinkedIn, and Instagram.